These Kids Christmas Movies on Netflix are part of a great list of Christmas movies to watch during Winter break, Christmas Eve, or Christmas day. These Netflix titles feature animated, live action, and family-friendly movies. As a child, I remember falling asleep watching one of our favorite Christmas movies for kids– A Christmas Story or Home Alone . It was part of our annual Christmas eve traditions. Now that I have my own family, I am making it part of our traditions, too. These titles include sappy love stories, funny experiences, and family traditions. Find a blanket, a warm beverage, and plan to get cozy as you enjoy this list of binge-worthy Christmas Movies on Netflix to watch with your family. 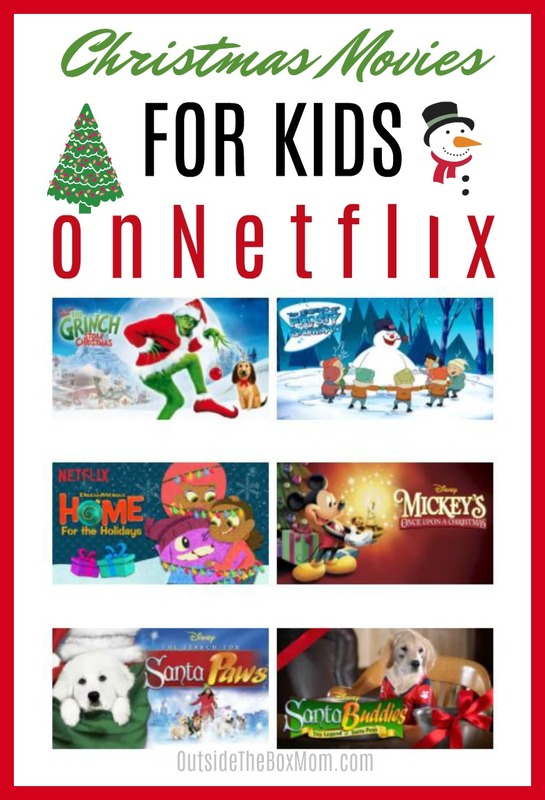 All the Kids Christmas Movies listed are currently on Netflix, but that is subject to change without notice. All movies are G or PG rated, unless indicated. Marvel Super Hero Adventures Frost Fight! Do you have any favorite Kids Christmas Movies on Netflix?